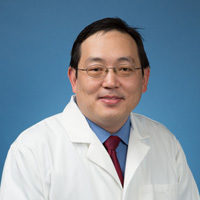 Dr. Michael Jean is a gastroenterologist who practices in Santa Clarita. He is board certified in internal medicine and gastroenterology. Dr. Jean received his medical degree from Drexel University College of Medicine in Philadelphia. He completed his internship and residency training in internal medicine at McGaw Medical Center of Northwestern University. He then completed his fellowship in gastroenterology at the Medical College of Wisconsin Affiliated Hospitals.